1 cup "no sugar added ketchup"
In a medium bowl, mix together soy sauce, extra virgin coconut oil, dried rosemary, ketchup and lemon juice. Set marinade aside. Place rainbow trout in a medium baking dish, and pour marinade over the fish. Refrigerate for approximately 1 hour, turning trout once. Preheat an outdoor grill for medium high heat and lightly oil grate. Drain excess marinade from fish, and transfer to a small saucepan. Bring marinade to a boil, and then remove from heat. Place trout on the prepared grill. 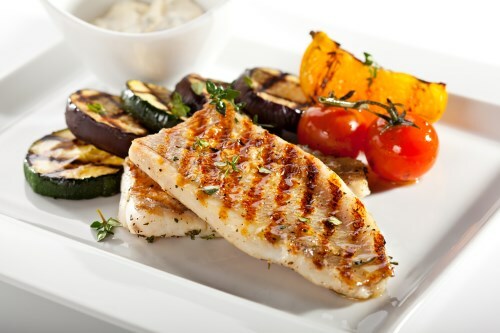 Baste fish with remaining marinade sauce while grilling. Cook approximately 5 minutes on each side, or until tender and easily flaked.